Articles related to salbutamol inhalers for the treatment of asthma from Dr Fox. Asthma sufferers must attend an asthma check-up with their GP or asthma nurse at least once every 12 months. If you suffer from asthma and have NOT had an asthma check-up in the last year please book an appointment with your GP surgery as soon as possible. 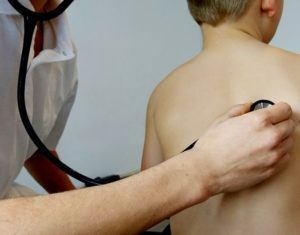 Asthma check-ups are important and will usually include breathing tests, inhaler technique, symptoms, triggers, use of spacer devices, and a medicines review. If you use a salbutamol inhaler (blue inhaler) you may be able to receive a repeat inhaler online. The service won’t replace your regular asthma check-ups or visits to the doctor’s surgery, but it can make the process of obtaining your inhaler much easier. Dr Fox does not provide additional asthma medicines or steroid inhalers but you can save time and money by ordering your salbutamol inhaler here on our website. This also helps ensure you are never left without your inhaler when you need it. Being diagnosed with asthma can be traumatic, in no small part because the diagnosis often follows an episode of shortness of breath. It is also a shock to hear about a chronic condition that could be lifelong. For some it may feel like life will never be the same, but this is only partially true. For most sufferers, asthma is a condition that can be kept at bay. With proper care and management you can live a normal life; it does not need to become the centre of your existence. Knowing the facts is the first step. The Department of Health has announced plans to allow schools to keep a supply of asthma inhalers on the premises. The move comes as part of a drive to reduce the number of emergency hospital admissions – or even deaths – for more than a million school pupils. Current legislation means that blue reliever inhalers are prescribed medicines, meaning schools are not allowed to keep spares. But campaigners are delighted that a recent consultation to allow them to be kept in First Aid kits could be implemented as early as next year. Asthma is a common condition, affecting one in every eleven children, and can often last for a life-time. However with the right medication symptoms can be kept under control so that sufferers can lead a normal life. Ventolin Evohaler from £8.50 each with online prescription from Dr Fox. Ventolin is a brand name for the inhaled asthma medicine salbutamol. Ventolin side effects are the same or similar to those of other salbutamol inhalers. Ventolin Evohaler is a salbutamol asthma inhaler which delivers a puff of salbutamol when the end of the inhaler capsule is pressed down. Other asthma inhalers are breath actuated and release a puff of salbutamol only when air drawn in through the inhaler nozzle, e.g. Salamol Easi-Breathe asthma inhaler.